RFP response for a website and customer experience redesign. 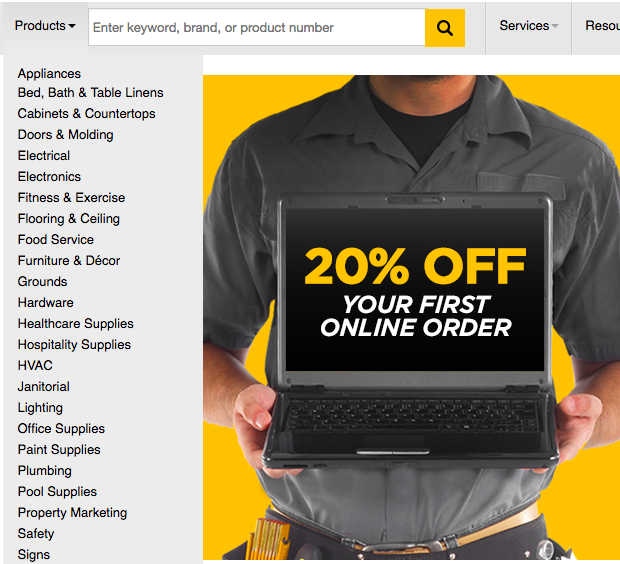 A national hardware supplier released an RFP for a back-end restructure and a website refresh. Our response applied UX principles to our overall creative approach. Step one was to explore the existing website and consider where there was room for improvement in structure and flow. The client had a huge amount of information that ranged from retail items to services to how-to videos, but didn’t consistently apply accepted UX practices, making things hard to find and surfacing some unexpected menu behavior. Based on similar previous work, I developed three personae of typical site users. I considered their work styles and location, touchpoints, and buying behaviors to support our suggestions for restructuring the content and adding potential new features. Due to the short timeline to respond, I relied on old-school pencil-sketches for the wire frames I shared with the designer. For our presentation to the client, we focused on what we felt were the highest-impact screens: Home page, Shopping Lists, Cart/Purchase, and Purchase Confirmation, highlighting features such as shared lists, notifications, featured products/special discounts, and educational/regulatory information. We won the creative design and development work for this client based on our approach and understanding of their customer base.